Most big political events will have an impact on the value of the pound, which can affect the performance of your pension. 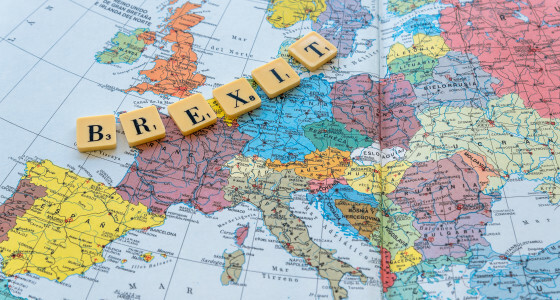 If the news that Theresa May has invoked Article 50, formally beginning the UK’s exit from the European Union, has got you wondering about your pension, read on to find out what Brexit really means for your pension and if it’s likely to make you richer or poorer. Does a weak pound mean weak pension funds? The Brexit vote last summer prompted a fall in the pound’s value, and sterling has continued to have a bumpy ride since. However, experts don’t expect the actual triggering of Article 50 to have a huge impact. Morgan Stanley strategists explain that this is because “a lot of the negativity around Brexit-related economic data weakness is already in the price”. Plus, a struggling pound doesn’t necessarily mean that the value of pension funds will fall, even though pension fund values are likely to experience some ups and downs during times of political turbulence. This is because most good pension funds (including PensionBee pensions) are diversified, which means they’re invested in a range of assets and in different geographical regions. This diversification helps to protect pensions against big market movements, as some assets rise as others fall. Last year, as the pound weakened due to Brexit uncertainty, the value of overseas investments in foreign currencies automatically increased. A Moneyfacts survey showed that overall, 2016 was a strong year for pension fund performance. Although UK funds didn’t perform well, the healthy performance of global funds meant that the average pension fund ended the year up by 15.7%. This means that there’s no need to panic when it comes to your pension, even if the pound continues to have a rough ride. It’s sensible to make sure that your pension fund is well-diversified and to keep an eye on its performance, and to speak to your pension provider if you have any concerns. At the moment, it’s not entirely clear how the UK’s exit from the EU will impact pension legislation and regulation. In the main, pension systems are designed by individual countries, but there is some EU legislation - the IORP Directive and anti-discrimination rules, for example - that do affect how UK pension schemes operate. Also, pension schemes benefit from the EU single market, as it gives them easy access to investment opportunities and service providers across Europe. The Pension and Lifetime Savings Association (PLSA) has said that major regulatory upheaval should be avoided, and that there’s no need to dismantle the current framework. Although the overall pension picture isn’t as gloomy as you might expect, for British pensioners in other EU countries, things are a little more worrying. Lots of Britons seek a sunnier climate for their retirement, with over 100,000 British pensioners in Spain alone. Currently, British retirees living in another EU country get the same annual State Pension rise as they would if they’d stayed in the UK. This is also the case for people who have retired to a country that the UK has made an individual agreement with, such as the US, Jamaica and Switzerland. Once the UK leaves the EU, British expats could find their state pensions frozen, which means they won’t enjoy the annual rises. Many pensioners will be hoping that the UK can make a pensions agreement with Europe as part of Brexit negotiations, which would likely mean that UK citizens living in Europe would still get pension rises, and EU pensioners in the UK would get the same from their home countries. Whether this will actually happen remains to be seen though, so expat pensioners currently face an uncertain future. Read more about the impact of Brexit on pensions on property on our blog. Combine your pensions into an online PensionBee plan and easily keep track of your pension saving. Check your pension fund’s current and historical performance in a few clicks.